What is AWANA®? As wikipedia put it: “AWANA is an international evangelical non profit organization founded in 1950, headquartered in Streamwood, Illinois. The mission of AWANA is to help ‘churches and parents worldwide raise children and youth to know, love and serve Christ. '” But for me it has become much more than just a weekly thing that I go to because “Mom said so” (even though that is how this all started). If you are wondering what made AWANA different then the Sunday School classes which I stopped attending consistently after we moved in 2006 it is hard to explain. My AWANA Leaders from 4th grade on have had an impact on my life in so many ways, some of which I am only now seeing. The one thing that I’ve known for awhile— it has been especially apparent the last 3 yrs—is that my leaders are the real reason I work really hard to get as much as I can memorized each week. Sometimes I even memorize more than I thought possible! Also, my AWANA Leaders have always been there to listen when I get excited, sad, angry or just talkative about something which may have happened in the last week. Some of my favorite memories involve the AWANA Games and how one year my team’s leaders taught us how to play the games the way they are played in the official AWANA Olympics. One of my favorite AWANA memories is of the year my AWANA leaders offered to dye her hair one of 3 colors if we all finished our books by the end of the year. People who would never had completed their books got them done in record time and our leader dyed their hair right before the award ceremony. This is the kind of motivation which some people in my current group need . . .
Over the course of the last 8 yrs, I have memorized over 811 verses (and counting), which still come to mind when I need them even though I can’t always remember the exact reference. This is something which has helped me through some tough times and I don’t think I would have had this encouragement in my life if my mom had not started me in AWANA. Now, THAT was encouraging to read! 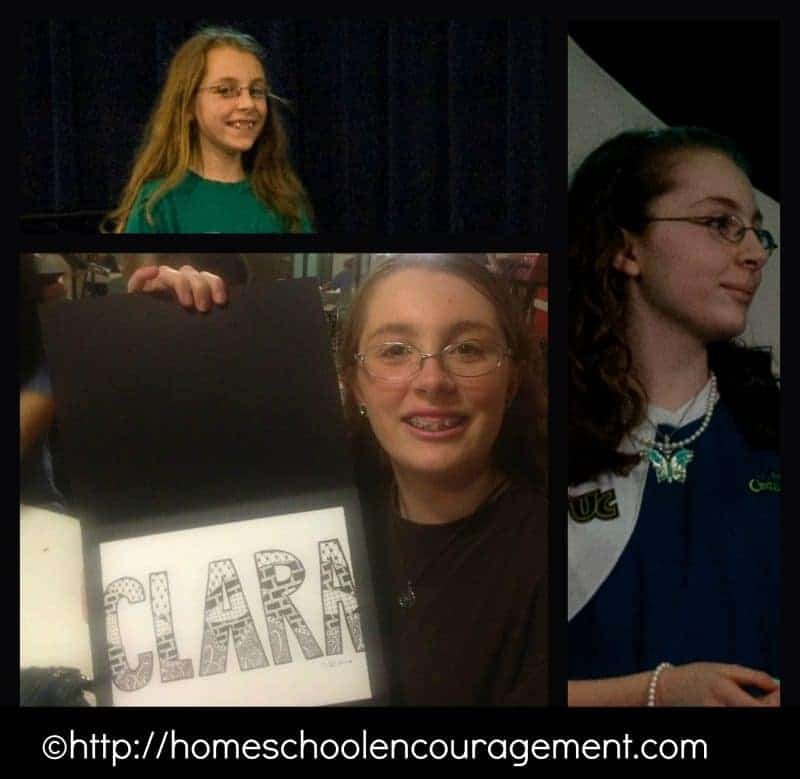 Thank you, Clara! !